The Sportshall Parallel Disability Team Challenge aims to provide a flexible disability athletics format for curriculum time and Competition based delivery of Sportshall Athletics for athletes of all abilities. 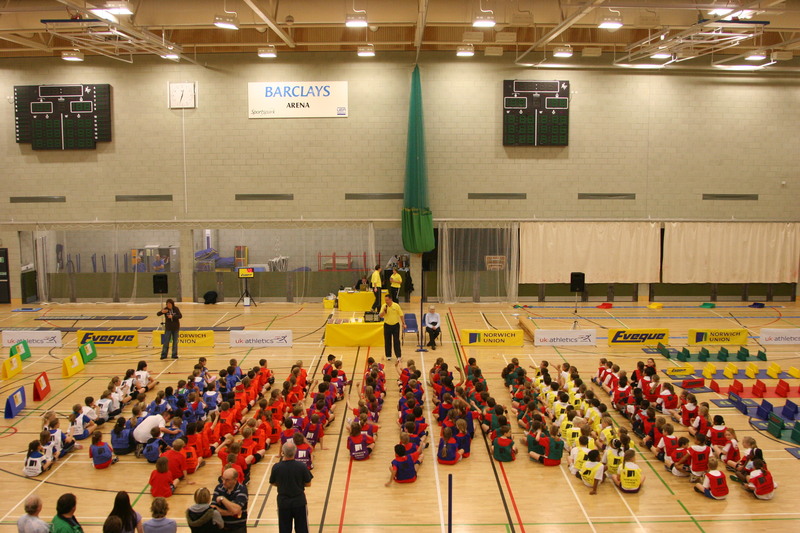 The format is based around the Sportshall Award scheme, with each England Athletics Athlete Grouping having suggested event adaptations and a set of Points Tables. An athletes total points are then converted into an Award using the mainstream Pentathlon Sportshall Award tables – making a fully inclusive Award Scheme. Once all teams have completed all the events a series of relays including 4 x 1 Lap and 4 x 1 Lap Hurdles relays (with each athlete competing at least once) brings the event to an exciting finale. The suggested Team Size is between 8 – 12 athletes and athletes from Years 7 – 13 can compete.